Crop Booster Biotech Sdn Bhd organised an awareness campaign at Ranau through the initiative of Ministry Agriculture and Food Industry Sabah. 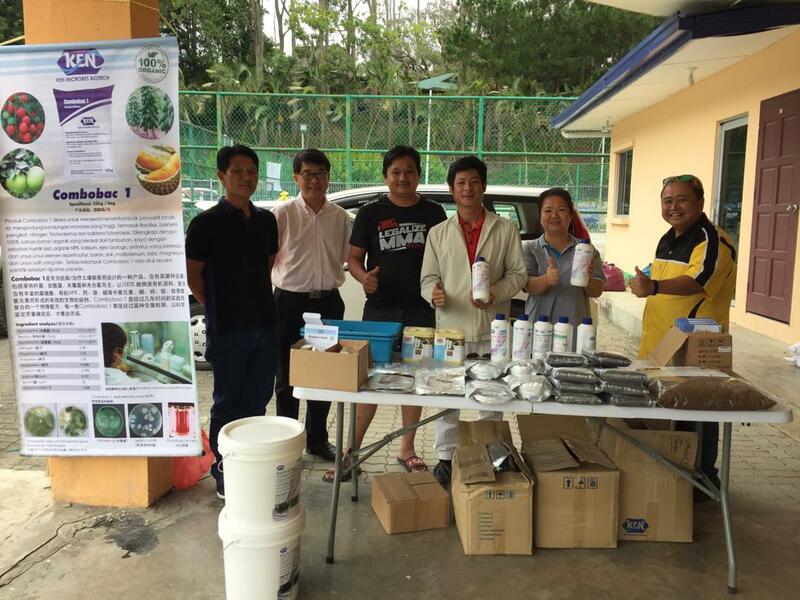 KUNDASANG: Responding to Minister of Agriculture and Food Industry Datuk Junz Wong’s call to “Go Green, Go Organic”, Department of Agriculture Ranau in collaboration with Crop Booster Biotech Sdn Bhd organised an awareness campaign here yesterday. The objective of the campaign was to promote awareness on MyGap and MyOrganic Certification which stressed on product quality and fulfillment of food safety standards. These certifications also help to develop a sustainable and environment friendly agriculture industry besides helping to raise productivity and farmers’ income. The organiser only expected 70 farmers to attend the programme, however 142 farmers turned up. “Bio organic farming technology is the way to go,” he said. In the past many of the imported Bio pesticides and Bio fungicides were found to be ineffective in treating our problems due to expired or unsuitable strains, rendering farmers having little or no faith in using Biotech materials to eliminate crop diseases. However, currently there are many local Malaysian Biotech Companies which are able to isolate local strains of microbes to combat localised bacterial and fungal diseases affecting and disrupting our food production. “As such the introduction of Biotech Technology and Research should be fully implemented at every level. “The application of Biotechnology in farming is not new as in more advance countries like Europe, Japan, Taiwan, Australia and many more, have shown significant improvement of farmers’ health. “This health improvement is attributed to the absence of chemicals, compared to those that use chemical pesticides and fungicides in their farms,” Junz noted. Food produced with the use of biotechnologies will increase the shelf-life of produce as bio organically produced crops will manifest freshness, delaying degradation due to the presence of chemical residue, and encourage cross border sales without restrains by receiving customs. “This will definitely increase the profitability of farmers,” Junz said. Junz informed that a few companies have shown interest to help in our effort to produce safe and healthy food. “The farmers and the rakyat as a whole have high hope and expectations of this new government, let us work together,” he said. He called on all the relevant agencies and departments, such as Federal Agriculture Marketing Authority (FAMA), Farmers Organisation Authority (LPP), Health Department, Pesticides Board and Department of Agriculture Sabah, to work together more closely to realise a sustainable farming and friendly environment. The organiser informed that subsequent awareness programmes would be carried out in 17 villages in Kundasang with the cooperation of Community Development Leader’s office here.